North Shore patients who need lung cancer surgery receive exceptional and compassionate care at North Shore Medical Center (NSMC). As the region’s largest healthcare provider, we offer access to world-class surgeons who perform a full range of lung cancer surgery. As the need arises, we can refer patients to talented sub-specialists in the Partners HealthCare network, including specialists at Massachusetts General Hospital and Brigham and Women’s Hospital in Boston. Segmental or wedge resection, where only a small part of the lung is removed. Lobectomy, where an entire lobe of the lung is removed. 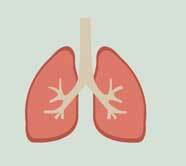 Pneumonectomy, which involves the removal of an entire lung. Sleeve resection, where a piece of bronchus is removed, after which the lung is reattached to the remaining part of the bronchus. Patients requiring lung cancer surgery may consult with our thoracic surgeons and with physicians at the Mass General/North Shore Cancer Center, where we provide access to the latest advances in screening, prevention, diagnosis and treatments for lung cancer and other forms of cancer. Patients benefit from comprehensive multi-specialty clinics where they meet with medical, radiation and surgical oncologists during each appointment to discuss all aspects of their care. Some patients may be eligible for video assisted thoracic surgery (VATS), a minimally invasive lung cancer surgery that can be performed without opening up the chest. In this lung cancer surgery, surgeons make several small incisions (instead of a single long incision) and insert small surgical instruments and a long thin tube with an attached camera into the chest. Patients undergoing a VATS lung cancer surgery tend to recover more quickly and with less pain than other types of lung surgery. VATS may also be used to biopsy lung tissues or confirm a lung cancer diagnosis. In addition to lung cancer surgery, patients at NSMC may receive radiation therapy, chemotherapy, photodynamic therapy and targeted therapy as part of their treatment regimen. North Shore Medical Center provides comprehensive medical and surgical care for a wide range of conditions and illnesses. Patients may see a neurosurgeon for back pain surgery, a cardiologist for a cardiac ablation procedure, a thoracic surgeon for cardiothoracic surgery or for treatments for hyperhidrosis. In addition they may see a weight loss surgeon for gastric sleeve surgery, or receive 3D mammography.